Wedding Occasion? We make it grand for every bride with our best Bridal Makeup Service. 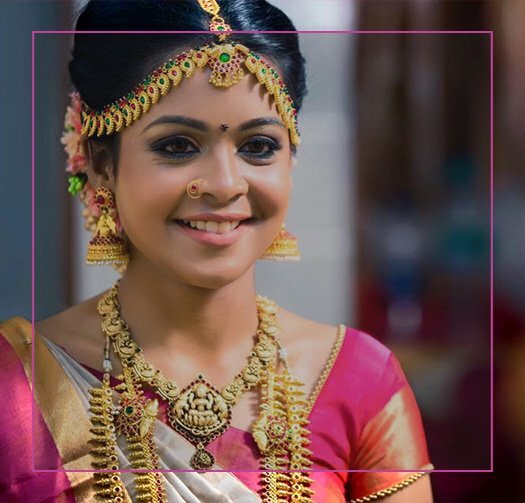 Uoonik boasts a pool of talented Best Bridal Makeup Artist in Thanjavur who has got intensive experience in making every bride look graceful & gorgeous in their special Wedding event!!. Uoonik is the One stop place for all your Bridal Makeup Needs. 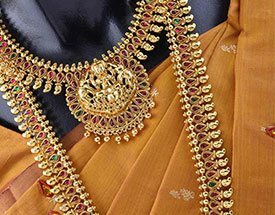 Right from Makeover, Hairstyling, Saree draping, Rental Bridal & Wedding Jewellery , we ensure to make it the best of its kind and as per the personalised requirements of our customers. Every Bride wants to look beautiful and dressed up like a doll. It makes you confident when you look the most beautiful and that when you get more compliments. 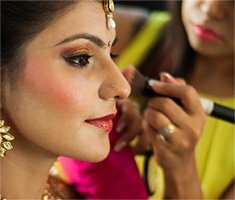 Uoonik Wedding makeup artist makes your dream of looking beautiful in the big day to come true with their professional Makeup Service. 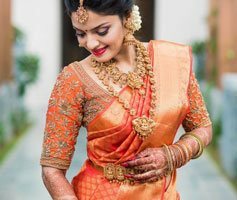 To provide a complete solution for the Bridal Makeup requirements, Younik offers luxury Bridal Jewellery Rents in thanjavur at an affordable cost. 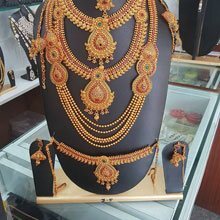 Our Rental Bridal & Wedding Jewellery in Tanjore sets comes with Eye-catchy adoring designs that will add up a classic traditional look to your beauty and leave an everlasting impression on anyone who lays eyes upon it. Our WorldClass Makeup Artist makes every bride look the best version of themselves. 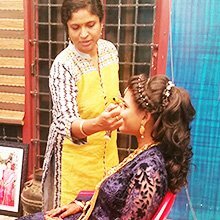 Our passionate hairstylist makes innovative hairstyles in a trendy and stylish way suitably for the bridal look. Our professional Saree drapers will drape saree in tailored style as per your choice. 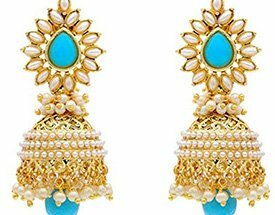 Want to avail the best wedding jewellery that accentuate on your artistic and trendy bridal look? Want the perfect Necklace perfect for your Wedding look? © 2017 Copy Rights Uoonik. All Rights Reserved.